Java Interviews are a little bit different than traditional programming interviews on tech giants and product based companies like Google, Amazon, Microsoft, or Facebook. First, even though it has questions from Data Structure and Algorithms like String or Array, you can still manage to clear Java interviews if you are not an expert on them. The questions are a little bit easier and more practical than those companies. Another very important thing about Java interviews are questions based upon Java programming language and JDK API. 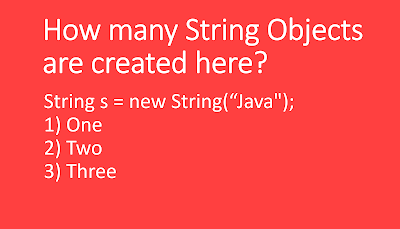 Since Java is also an Object-oriented programming language, you will find lots of OOP questions there. Since Java is primarily used as an application programming language, the focus is aligned accordingly with questions mostly focusing on API, Java concepts, and design patterns. Also, Java interviews change a lot depending upon the candidate's experience. For example, junior developers with 1 to 2 or 3 to 4 years of experience will see more questions on topics like Java fundamentals, API, data structure and algorithms. More senior developers like Java programmers with 5 to 6 years of experience will find more questions on concurrent programming, Java concurrency API, JVM internals, GC tuning, and Java Performance. So your preparation should be aligned with your experience and not just focused on common programming questions. Also, Java EE interviews are totally different than core Java interviews because core Java interviews are mostly focused on core Java concepts like Concurrency, Collections, and JVM internals, while Java EE interviews are based upon framework like JSF, Spring, Hibernate and others. 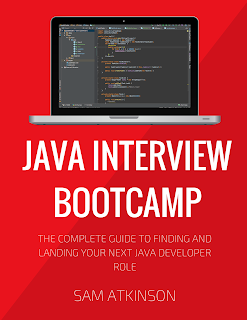 The best way to prepare for Java interviews is to join a course like Java Interview Guide: 200+ Interview Questions and Answers, though there is no substitute for the experience you can still manage to sail through by carefully preparing for your Java interviews. Which Topics to Prepare for Java Interviews? As I told, the importance of topics depends upon the candidate's experience. I would ask more questions from Java fundamentals like String, Collections, equals() and hashcode and OOP concept to a fresher or Junior Java developers of 2 years experience, but those topics will be too trivial for Java developer of 4 to 5 years experience. For those, I prefer to ask Concurrency, JVM internals, Garbage Collection, testing, and design patterns. Another thing which decides which topic you should prepare for your interview is the Job description. Also, there is no better guide than Job description to prepare for relevant topics. For example, if you are going to work for a core Java multi-threading based application then you should prepare well for core Java topics like multi-threading and concurrency, Java Collections, Generics, Enum, GC Algorithms and JVM internals. Similarly, if you are going to work for Java Web Service application than preparing about REST and SOAP, XML, JSON, and other relevant topics. For Java, web application developers, JSP, Servlet, Spring, and Hibernate are more important than multi-threading and JVM internals. Similarly for an Android developer, apart from knowledge of Java fundamentals, knowing Android API is more important. Nevertheless here is the list of topics I suggest to any Java developer who is serious about interviews. Apart from these topics, you could also take help from books like Java interview exposed and the Cracking the coding interview. These are great books written especially from interview perspective and it will give you a good idea of what to expect on Java programming job interviews. You will also find questions asked from various tech companies like Facebook, Google and Investment banks like Barclays, Citi, Deutsche Bank, Morgan Stanley, and others. For a more serious developer who wants to become an expert and not just to focus on clearing an interview, I suggest you take a look at my 12 advanced Java books for experienced programmers article. It contains books for every important topic in Java. And if you lack on some topic, you can always go back to the book you read or the course you followed to learn the Java-like The Complete Java MasterClass course on Udemy is very comprehensive course and best for learning from scratch. Recently I come across some excellent books to prepare for core Java and web developer interviews, these books focus more on core Java concepts like multi-threading, collections, Java fundamentals etc, but also touches web development concepts e.g. web service, spring, hibernate, JSP, Servlet etc. These books and courses are both cheap, will cost you less than $15 but gives you enough practice and ideas to do well on your Java interviews. Though nothing can beat the true experience and constant learning, if you are short of experience and not in touch with Java for more than a year then you can use these books to prepare better for your Java interviews. This is an excellent course to get an idea about Java interviews. It is very well organized and covers almost all the topics we have discussed here and probably more e.g. web services, spring, hibernate, JDBC etc. It is equally useful for both entry-level Java programmer and experienced Java developer interviews. This is nice, small books, around 50 pages of interview questions, ideal if you have Java interviews in a couple of days or hours. Even though the book is small, it touches many important areas of Java like concurrency, collection, performance tuning, garbage collection and common programming concepts e.g. big O notation, data structure, and algorithms etc. In short, if you are running out of time for your next Java interviews, this book will help you. That's all about how to prepare for Java interviews guys. The Java ecosystem is vast and but depending upon Job description you can further narrow down your preparation areas e.g. if you are going for core Java interviews then you should focus more on core java concepts e.g. 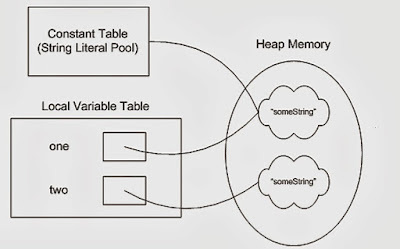 multi-threading, collections, and JVM internals. Similarly, if you are going for Java web developer interview then you should focus more on web development aspect e.g. security, MVC frameworks like Spring, Struts and ORM frameworks like Hibernate and iBatis. Thanks for reading this article, if you have found this article useful and worth sharing then please share with your friends and colleagues. If you have any suggestion or feedback or if you want to share any of your personal tips which helped you to do well in Java interview then please drop a comment. Thanks for a nice job. !!! !